We are excited to be hosting a Force Free/ Fear Free seminar given by Diane Garrod of Canine Transformations Learning Center on May 11th, 2019. 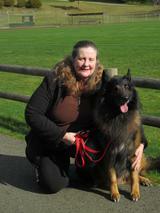 I am Debbie McAvey, owner and trainer at Deb's Doggercise. I have been operating in the Myrtle Beach area for over 8 years. My training methods are 100% Force Free. I use only Positive Reinforcement methods to successfully turn unwanted behaviors into appropriate behaviors in dogs. I work with issues such as, but not limitd to, poor leash manners, jumping, digging, chewing, excessive barking, door dashing, and inapropriate social behaviors. I also work with dogs that have fear and anxiety issues. I will never use shock, prong, or choke collars, or any other type of punishment techniques on your dog. These methods have scientifically been proven to be ineffective and inhumane. Effective training should be fun, and should never include force, fear, pain, or intimidation. I have five dogs of my own, each with their own natural strengths and abilities, as well as their own issues. They are all individuals, and in my home they are all treated as such. My mission at Debs Doggercise is to help you create peace and happiness between you and your dog with kindness, compassion, understanding and most importantly knowledge. Debs Doggercise is locally owned and operated. I have been providing my services to the Myrtle Beach area for over eight years and have lived in the Myrtle Beach area for over forty years. I look forward to meeting each and every one of you!! Like children, your dog is often watching you and learning from your actions and reactions. 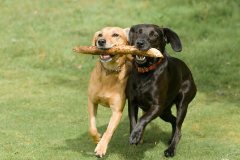 Training is not just a few generic classes, it is all the time – your dog learns from everything you do. At Deb's Doggercise I include the human owners in every step of the process, teaching you how to train your dog in a way he will understand you. Allow me to help you create this happy, well balanced bond with your own four-legged companion, a bond that will last a lifetime!! 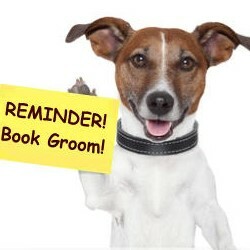 Now Offering Baths, Grooming, Nail Trims, & More! Copyright 2013 Deb's Doggercise All rights reserved.